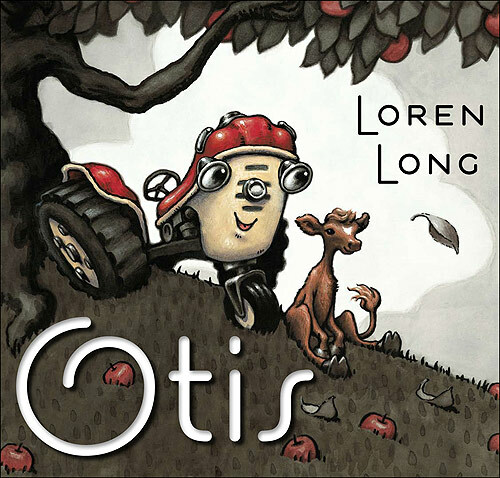 “Otis” by Loren Long. An old red tractor named Otis and a young calf are best of friends on the farm. They play games together and keep each other company… until, the farmer decides to buy a big shiny yellow tractor. Otis sits in the overgrown grass and feels like he’s not useful… until, his calf friend gets stuck in the muck in the pond. Then… see what happens! The theme of enduring friendship is a good one to introduce to children . “Good Night Moon” by Margaret Wise Brown, illustrated by Clement Hurd. Looking at this well-worn board book from the boys with the spine falling apart, I can see that it has been a favorite for a long time. The inside cover is inscribed “To Baby Lucas, for many a good night’s sleep! We love you, Uncle Jeremy and Aunt Mary Ellen.” Doesn’t that just tug at your heartstrings? Lucas has had this book since birth—no wonder it’s a favorite. This classic story is entwined with years of memories the boys have of snuggling up and reading with mom or dad, grandma or grandpa—maybe even Uncle Jeremy and Aunt Mary Ellen. This book is a reminder of family times, so I’m sure it will remain precious to the boys long after they’ve outgrown it. “Oliver” by Syd Hoff. Hmmm, maybe my friend Oliver who picked out this book is just a little bit fond of the title! The story is an “I Can Read” picture book, meaning that there are short sentences and a limited vocabulary for children to know so they can more easily read the book out loud themselves. This is an endearing tale of an elephant who unexpectedly arrives in a big city after a journey across the ocean on a boat. He tries out many ways to fit into the city, such as being someone’s pet, selling peanuts at the park, and using his trunk as a slide for children to play on. Nothing is really satisfying until Oliver finds out he can dance and joins the circus. “Rain, Rain, Everywhere” by Christine Leeson, illustrated by Gaby Hansen. Little Molly Mouse and her 3 mouse siblings go out to play on a sunny day. The sky turns darker and darker, then it rains and they look for shelter. Should they stay with the squirrel in his hole, in the harvest mouse’s nest, or in the rabbit’s burrow? In the end Molly generously finds a place for everyone to stay dry and makes new friends. “Never, EVER Shout in a Zoo” by Karma Wilson, illustrated by Doug Cushman. This story starts even before the words in the book, with little pictures on the title and copyright pages of a girl dropping her ice cream cone. When the cone falls, the “shout” happens, and a series of unlikely events tumbles out of the book. A giant, grouchy, grizzly bear, a big, bull moose, and clever, conniving apes are just a few of the animals that escape their cages and cause trouble you can’t even imagine. Filled with anticipation and humor just right for a young child. Do you have children’s books to recommend to other families? Write to me at Katrina@familyreading.org and I’ll post as many as I can on our Facebook page. Running, jumping, and leaping; building blocks up and then crashing them down! Do you have a young child who plays rough and tumble games? An active youngster may be drawn to books about cars and trucks or wild animals and adventure. Action books will hold that child’s attention, but see what happens when you read a more emotional book now and then. A book that has a story about compassion, thoughtfulness, and caring could broaden your child’s thinking and teach a few life skills. See which one of these books your whirling dervish will sit down and enjoy. “Officer Buckle and Gloria” by Peggy Rathmann. Officer Buckle gives very bumbling and boring presentations at schools. No one is interested until his companion dog Gloria starts flipping and twirling behind his back and changes his ho hum safety tips into lively entertainment. Embarrassed that his dog is stealing the show Officer Buckle quits his school tour! In the end Officer Buckle and Gloria realize they need each other to be a winning (and safe) team. “Sheila Rae the Brave” by Kevin Henkes. Sheila Rae is the big sister who is the cool one, compared to her baby sister Irene. But, Sheila Rae’s confidence goes to her head and as she tries a new way home from school and then gets lost. Irene saves the day by showing her big sister the way. Sheila Rae finds she can be humble and Irene realizes she has a lot of common sense of her own. 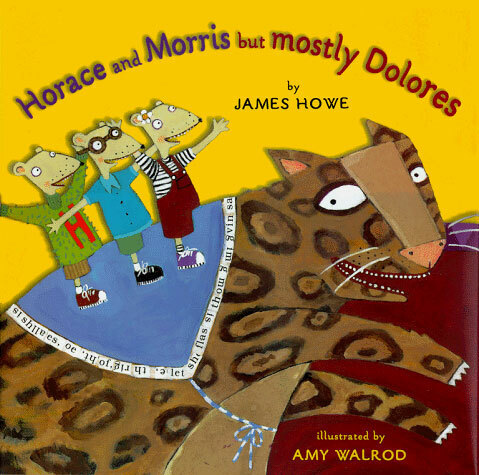 “Horace and Morris, but Mostly Dolores” by James Howe, illustrated by Amy Walrod. These three mice play very happily together until Horace and Morris decide to do “boy” things and exclude Dolores. Dolores decides to do “girl” things without her buddies. The three friends are divided because of what others expect them to do. They are all miserable being separated! Will they learn to be true to their own feelings? “Ladybug Girl and the Bug Squad” by Dave Soman and Jacky Davis. Ladybug Girl dresses up like a ladybug and her friends dress as insects too: Bumble Bee Boy, Dragonfly Girl, and Butterfly Girl. They are super-hero insects with special powers! When they all go home celebrate Ladybug Girl’s birthday, misunderstandings arise and they have to find a compromise. “Don’t Touch My Hat” by James Rumford. This cowboy is the sheriff of a small Western town. He gets all his courage and determination from wearing his big ten-gallon hat. He doesn’t go anywhere without it, until he has to break up a fight in the middle of the night and grabs the wrong hat to wear. His wife tells him what he found out: “It’s your heart, not your hat” that keeps you feeling powerful.